Sag Harbor hosts its 54th Annual HarborFest this coming weekend, a village-wide event celebrating the maritime history of Sag Harbor. 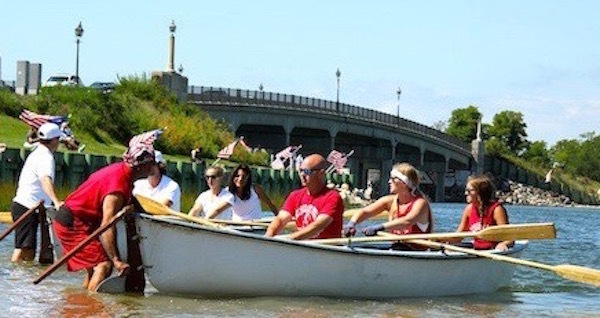 The weekend includes classic whaleboat races, a clam shucking contest, potato sack races, a tug of war, a hula hoop contest and music. Noon, 1:30 & 3 p.m. American Beauty Tour, one-hour cruise departs Long Wharf. $16 adults/$11 children. 11 a.m. – 2 p.m. Wigwam Workshop with Native American Life on the East End Exhibition, Eastville Historical Society Heritage House, 139 Hampton Street. $60 for workshop, $5 exhibition. 5:30 p.m. American Beauty Sunset Tour, two-hour cruise departs from Long Wharf. $42 adults, $28 children. 2 p.m. Conversation with Ed German, host of WPPB’s Urban Jazz Experience and Friday Night Soul, reading from his memoir, Deep Down in Brooklyn. Eastville Community Historical Society’s Heritage House, 139 Hampton Street.